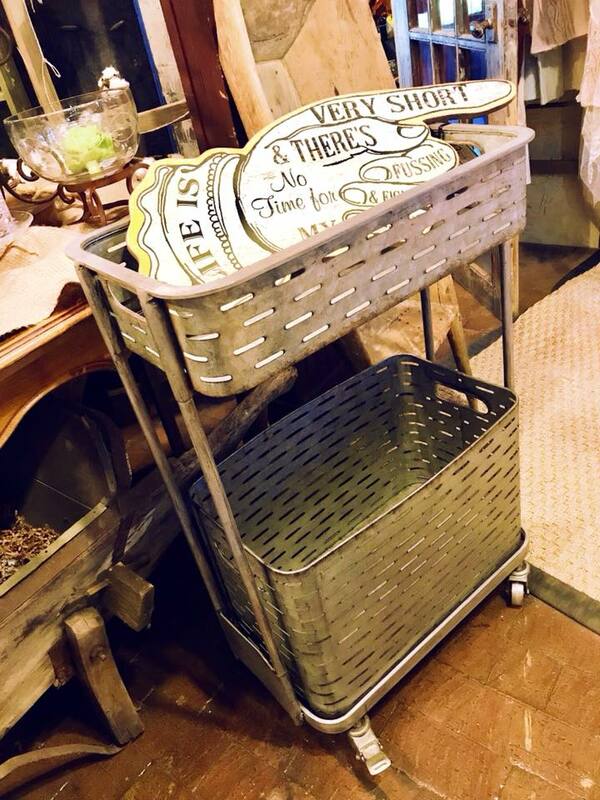 This metal vineyard trolley has so many uses! I can see it filled with jars of bath salts and beautiful rolled up white or grey towels, in a kitchen to store and serve, or even in a mud room to catch various items! A neat little piece!